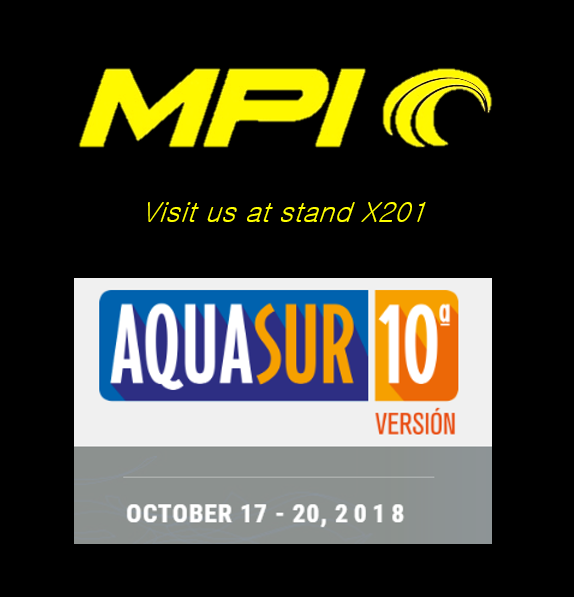 MPI (Multi Pump Innovation) will be exhibiting at AquaSur in Puerto Montt, Chile, from 17 – 20 October 2018. AquaSur is the most important international aquaculture fair in the southern hemisphere. The fair brings together exhibitors from five continents and more than 40 countries to show their products and acquire and exchange knowledge. It is an excellent opportunity to know and roam around the aquaculture industry in a single place to learn about the latest developments in products, services and technologies that are taking place in this fascinating activity in Chile and globally. As one the leading provider of net cleaning systems globally and in Chile, MPI will of course be present at AquaSur. You will find us at stand X201. At AquaSur, MPI will showcase its full range of net cleaning systems, including the third generation Racemaster 3.0, which is the world’s fastest net cleaning robot. We will also showcase the popular first generation Terminator net cleaning system and the second generation R.O.N.C. – remotely operated net cleaner. Feel free to contact MPI’s sales team in advance to schedule an appointment to meet at AquaSur to discuss your net cleaning requirements. Look forward to seeing you at AquaSur!